The Independent Parliamentary Standards Authority has published its recommendations to increase MPs pay to £74,000 in 2015. The authority behind plans to give MPs an 11% pay rise has insisted the planned increase will go ahead despite criticism of the proposal. The chairman of the Independent Parliamentary Standards Authority (Ipsa) has defended his decision to increase MPs' pay, arguing that the overall package will "not cost the taxpayer a penny more". Speaking to ITV News, Sir Ian Kennedy said the authority had been playing "catch up" after previous recommendations to increase MPs' pay were ignored. Today's proposed pay rises MPs has been reflected in the media as an outrage, when what is outrageous is the tone of debate. The TaxPayers' Alliance said the Independent Parliamentary Standards Authority has demonstrated it was "not fit for purpose" after it published its recommendations to increase MPs' pay by 11 per cent. Spokesman Jonathan Isaby said: "This unaccountable bureaucratic monster of a quango, which was supposed to help restore public faith in Parliament after the 2009 MPs' expenses scandal, has in fact just succeeded in turning the clock back four years. "It beggars belief that Ipsa felt it an appropriate use of taxpayers' money to run up a bill in excess of £70,000 on opinion surveys, citizens' juries and focus groups. "But it is beyond contempt that Ipsa completely ignored the very research which showed the public to think that MPs' pay is currently 'broadly fair'. "The body which ought to be representing the interests of voters and taxpayers has unceremoniously put two fingers up at the lot of us." How do UK MPs' salaries compare to other countries? MPs will receive a bumper pay rise of 11%, under a pension and expenses reform package announced by the Independent Parliamentary Standards Authority. The pay rise means they will be among the better paid politicians within Europe, - the average salary of a French politician currently stands at £57,832 a year, whilst in Sweden it stands at around £71,500. UK MPs will still be behind Germany though - their gross monthly salary is 7668 euros (£6,720) or £80,640 annually. Sir Ian Kennedy, chair of the Independent Parliamentary Standards Authority (Ipsa) has defended his controversial plans to give MPs a pay rise of 11%. "This is a package, a package of reforms. You cannot unpick it. You can't say that bit we like and that bit we do not." He said research done by Ipsa indicated that the overall package had "significant" support from the public. "Part of the package is that part they don't like, but the package as a whole has significant support from the public. "The public is far more sophisticated than a lot of people think they are." 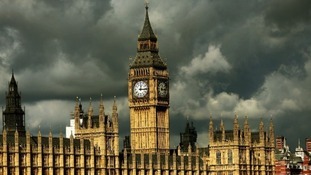 MPs will have to contribute more to their pensions under new pay proposals that will see salaries rise to £74,000 in 2015. A one-off uplift in salary to £74,000 in 2015, an 11% rise on their current salaries. The Independent Parliamentary Standards Authority has published its recommendations to increase MPs pay to £74,000 in 2015, an 11% rise on what they are currently paid. Deputy Prime Minister Nick Clegg said the government had written to the Independent Parliamentary Standards Authority (Ipsa) urging them to take account of the overwhelming public anger at a decision to raise their pay by 11%. Mr Clegg said the letter stressed "how MPs are remunerated really does need to go with the grain of public consent." But he stressed Ipsa were an independent body, and MPs had no input in deciding on the pay hike. "The body that has put forward this suggestion is entirely independent of politicians precisely because politicians, when they were deciding on their own pay and rations in the past, got into the total mess of the expenses scandal. "Some people are suggesting because this body has come up with this bad recommendation we should somehow scrap it. I would be very wary of turning the clock back and going back to the bad old days of MPs being judge and jury of their own pay and expenses all over again." Ipsa's recommendation was "not cast in stone" and would be reviewed after the election, he added. MPs deserve a "one-off uplift" in their salaries, the head of the watchdog responsible for pay and expenses has insisted, ahead of today's plans expected to set out an 11% rise. Writing in the Times, Independent Parliamentary Standards Authority (Ipsa) chairman Sir Ian Kennedy said his expected pay hike for MPs would not cost taxpayers "a penny more." Ipsa are planning a tougher-than-expected squeeze on MPs' pensions to cancel out the cost of the pay hike. Sir Ian said the plan would involve a one-off rise, with MPs' wages then increasing at a more measured pace. He said the new plans mean MPs will miss out on a number of "handsome perks". "Reform is long overdue. Some of the benefits are unjustifiable. The pensions are too generous, the old resettlement payments too handsome and some of the expenses need further tightening. "We are in no doubt - MPs' pay needs a one-off uplift. Whatever measure you choose - including international comparisons and historic trends - they all lead to the same conclusion: MPs' pay has fallen behind. It needs to catch up. "We will announce a one-off pay rise. Thereafter MPs' pay will move with the pay of the rest of us. That's a sensible way forward, which we will implement after a further review of conditions in 2015."